We, -INO Networks Group-, are international business and agent networking organization who serves world commerce, freight forwarding, shipping and logistics industry. "INO Networks Group" is a well-known brand in global agent network business since 2009. Proud to mention that it is operating from both HONG KONG and TURKEY to serve its worldwide members in the best way at present. SIMPLY, our featured groups bring in new business partners, professional contacts and/or customers to member agents. Our agent network groups in strategy focused approach gathers LIKE-MINDED partners together, standardize their business flow for the highest level of performance and assist them in any problem for smooth operations. Any company which joins our groups has the opportunity to use its potential and increase its presence in international arena. The most important feature of "INO Networks Group" is that it is the first organization serving in boutique and concept networking approach. Over the years of providing forwarder and logistics companies with boutique and concept networks, FM-Freight Midpoint International Forwarders Network launched to go on serving different strategies of freight forwarders and logistics companies. We will be pleased to see you among Freight Midpoint agents if you would like to develop your business, increase your shipment volume and if you are ready to work with FM agents for mutual benefits. 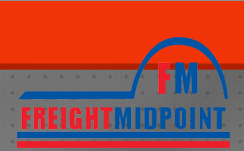 FM - Freight Midpoint Int'l Forwarders Network is a right place if you would like to have as much agent as possible to work in a secure environment and if you give importance to have personal contact and meet with these partners every year. For those who have an aggressive marketing philosophy and would like to broaden the agency network of their companies with different strategies at the same time, then they can register any other INO Networks Group organization according to their companies' interest, capability and work power. REMIND THAT "INO Networks Group" is formed by two companies located in Europe and Asia. There are three agent networks under "INO Networks Group" who are all independent from one another. 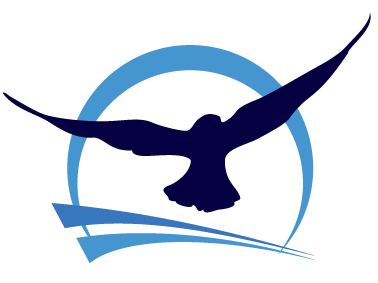 Each group is separate body and serves to different strategy of freight forwarders and logistics companies. We believe, you are aware of our capability to act from different regions and our experience in multicultural structures. WHAT DOES MAKE INO NETWORKS GROUP DIFFERENT? Let's share some highlights to enlighten our abilities and capabilities. We do not sacrifice quality for the sake of adding more members; we have strict selection rules and prefer to enlarge with internal dynamics of our groups. We are gathering like-minded companies to speed up cooperation process and do not repeat ourselves in organization types to maximize benefits and interests of our member agents. We promote our members with exhibitions, newsletters, online media and social media tools in marketing and branding activities. Additional to all these benefits mentioned above, we also assist our agents in solving any dispute and/or problem they would have in operations.